TensorFlow is a library that was developed by Google for solving complicated mathematical problems. This introduction to TensorFlow contains all you need to know! In this post, we are going to see some TensorFlow examples, define tensors, perform math operations using tensors, and see other machine learning examples. TensorFlow is a library that was developed by Google for solving complicated mathematical problems, which takes a lot of time. Perform machine learning techniques in which you give it a sample of data for training, then you give another sample of data to predict the result based on the training data. This is the artificial intelligence component! Provide GPU support. You can use GPU (Graphical Processing Unit) instead of CPU for faster processing. There are two versions of TensorFlow: the CPU version and the GPU version. Before we start working with TensorFlow examples, we need to know some basics. A tensor is the main blocks of data that TensorFlow uses. They're like the variables that TensorFlow uses to work with data. Each tensor has a dimension and a type. The dimension refers to the rows and columns of the tensor. You can define one-dimensional tensors, two-dimensional tensors, and three-dimensional tensors, as we will see later. The type refers to the data type for the elements of the tensor. To define a tensor, we will create a NumPy array or a Python list and convert it to a tensor using the tf_convert_to_tensor function. The results show the dimension and the shape of the array. It looks like the Python list but here there is no comma between the items. Now we will convert this array to a tensor using the tf_convert_to_tensor function. From the results, you can see the tensor definition, but you can’t see the tensor elements. Now you know how to define tensors. What about performing some math operations between them? We need to get the sum of them. You can perform many math operations using TensorFlow. Now you got the idea. We've seen how to work with one and two-dimensional tensors. Now, we will see the three-dimensional tensors. But this time, we won’t use numbers; we will use an RGB image where each piece of the image is specified by x, y, and z coordinates. These coordinates are the width, height, and color depth. 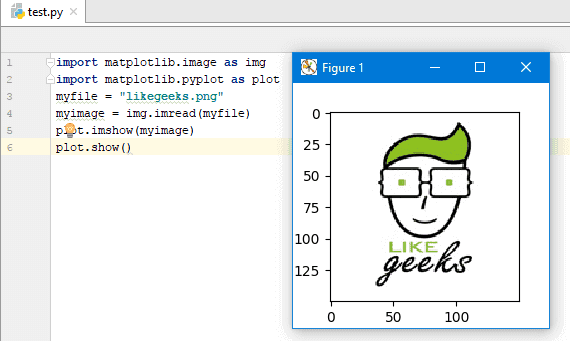 First, let’s import the image using matplotlib. 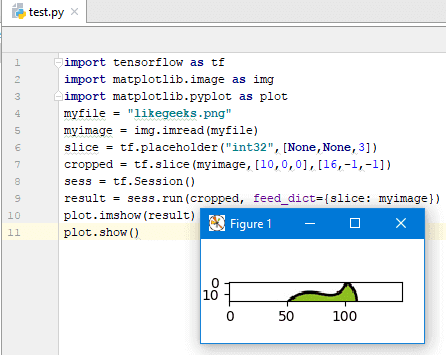 You can install matplotlib using pip if it’s not installed on your system. As you can see, it’s a three-dimensional image where the width is 150, the height is 150, and the color depth is 3. What about manipulating the image using TensorFlow? Super easy. Then you can see the result image using matplotlib. In this TensorFlow example, we will do a simple transformation using TensorFlow. 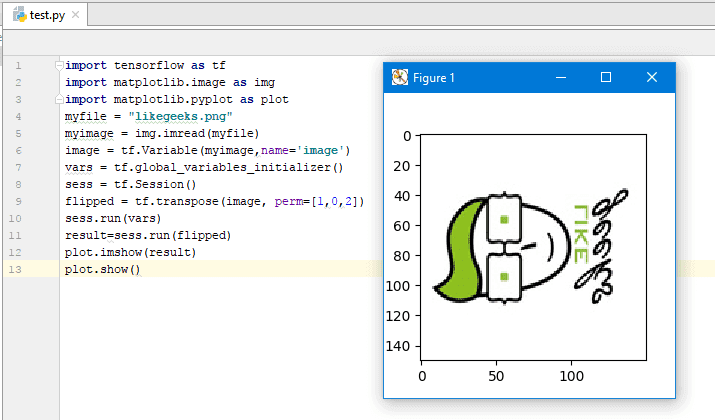 Then, you can show the resulting image using matplotlib. All of these TensorFlow examples show you how easy it os to work with TensorFlow. I hope you find the post useful. Keep coming back!